This record has been made possible by generous support of UAB “Garsu pasaulis”. NoBusiness Records NBCD 10, 2010, edition of 1000 cd’s. 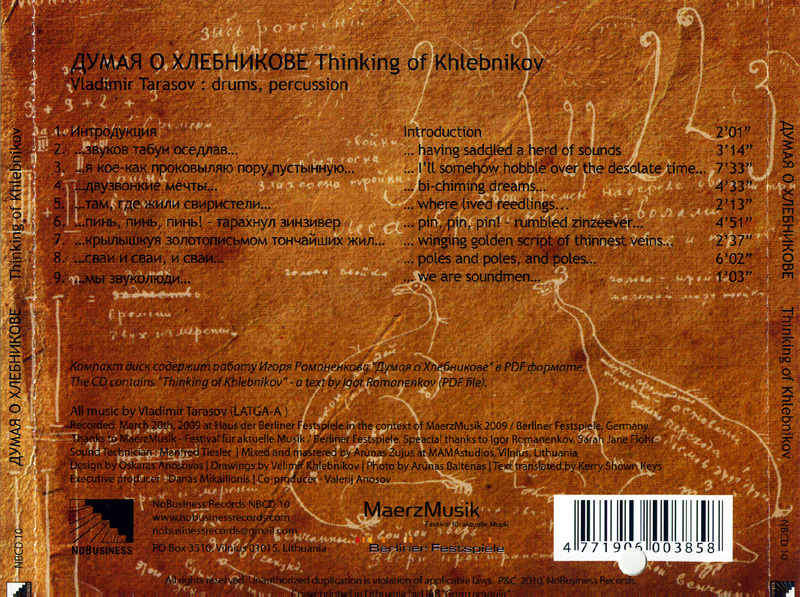 The CD contains an essay “Thinking of Khlebnikov” by Igor Romanenkov. This work is included in PDF file format. * All music by Vladimir Tarasov (LATGAA). * Recorded March 20th, 2009 at Haus der Berliner Festspiele in the context of MaerzMusik 2009 / Berliner Festspiele, Germany. * Sound Technician – Manfred Tiesler. * Mastered by Arūnas Zujus at MAMAstudios, Vilnius, Lithuania. * Design by Oskaras Anosovas. * Executive producer – Danas Mikailionis. * Co-producer – Valerij Anosov. A solo dedication to a Russian Futurist poet Velimir Khlebnikov by the gross master of drums and percussion, Vladimir Tarasov. 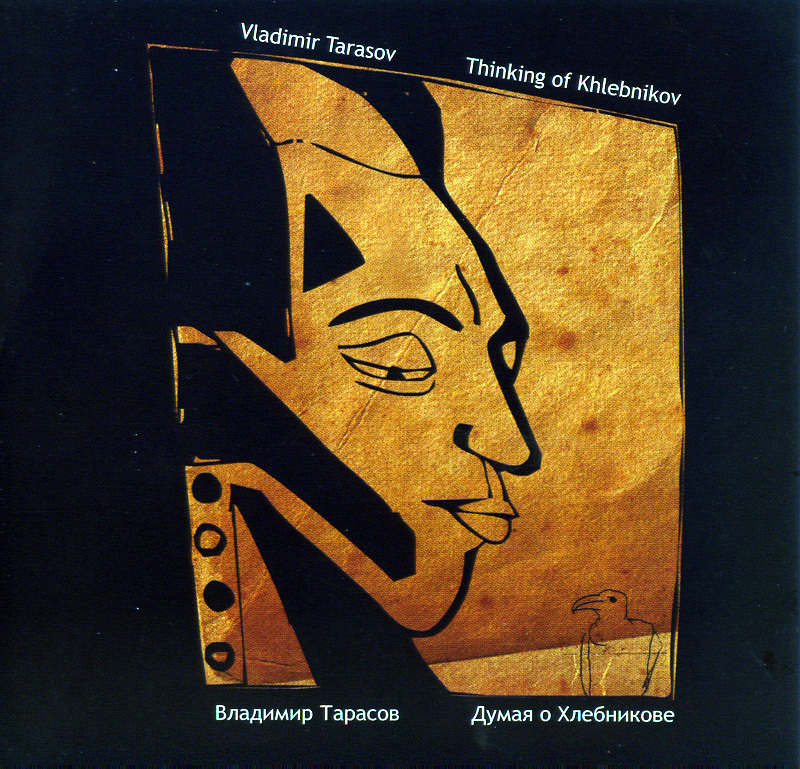 The CD contains an essay “Thinking of Khlebnikov” by Igor Romanenkov. This work is included in PDF file format. whether the cultural capitals of the world have been moved to Cracow (Poland), Vilnius (Lithuania) and Lisbon (Portugal). Or let’s say that at least of some of the best and daring music nowadays is performed and released out of those cities. Again, the small labels surprise with the least likely of commercial successes: solo percussion albums.Well, not quite solo. The first is accompanied by text, the second is a percussion duet, but the lack of melodic instruments does not mean lack of musicality, as is demonstrated here. Russian-born percussionist Vladimir Tarasov is sort of the “old man” of jazz in Lithuania – he’s called Vilnius home since 1968, and achieved international renown as an improviser with the Ganelin Trio (1971-1986). In addition to work as a sound installation artist and solo percussionist, he has also worked with American composers like Anthony Braxton and drummer Andrew Cyrille. 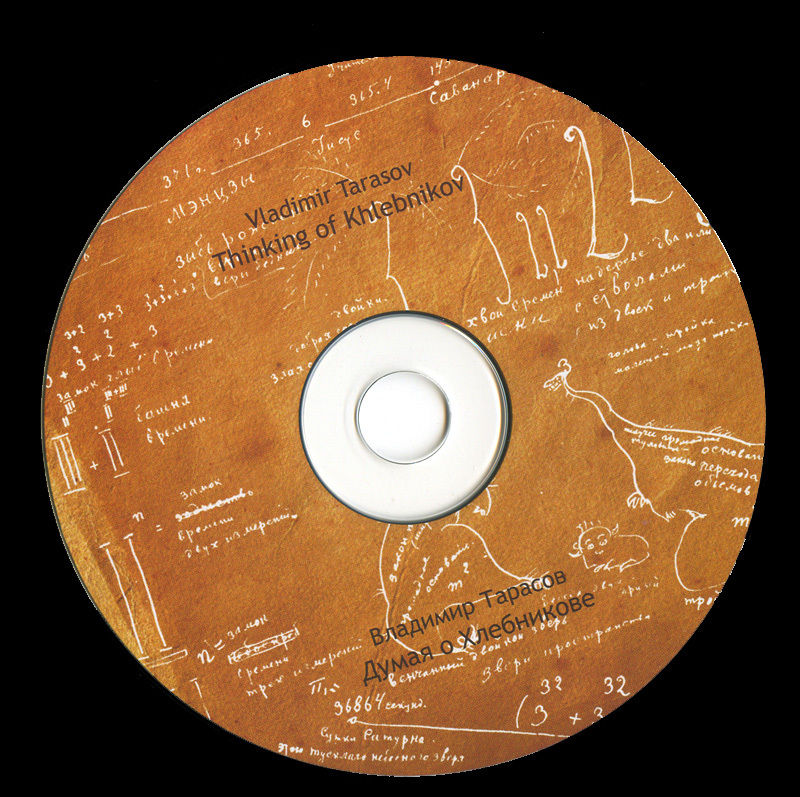 Thinking of Khlebnikov, a dedication to Russian Futurist poet Velimir Khlebnikov, is Tarasov’s first disc to be released on Lithuania’s No Business label and a follow-up to the eleven-volume Atto solos (released as a boxed set in 2005). There is something comparable to Cyrille. Tarasov’s movement from rumbling toms to large gongs, bells, and smaller tuned gongs recalls the Afro-Asian mini orchestra of Cyrille and Milford Graves’ Dialogue of the Drums (IPS, 1974). 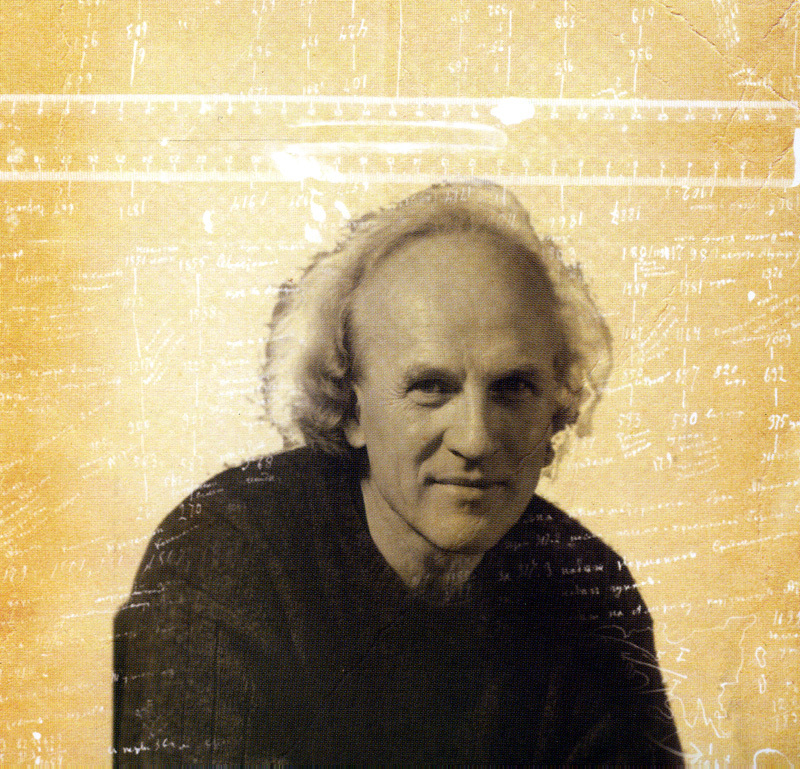 The rapid twists of manipulated skins on “Having Saddled a Herd of Sounds” approach electro-acoustic textures, a fierce upset to the tense delicacy of its “Introduction.” Modern classicism, in the vein of ensemble percussion music, shows up on “Bi-chiming Dreams,” a spacious and metallic exploration of metal, air, and resonance. Concentrated action and small sounds take up “Pin, Pin, Pin! Rumbled Zinzeever,” a piece for muted bells and shakers far less rackety than its Futurist title would suggest. With tambourine and brushed patter, “Poles and Poles and Poles” is elegantly swinging. Though creating a sound environment is certainly part of Tarasov’s modus operandi, Thinking of Khlebnikov is just as much an intricate and joyous solo percussion disc.